Los Angeles Police are dealing with not just one, but two shocking deaths at two different marijuana dispensaries. One incident occurred at about 4:15 in Echo Park, at the Higher Patch Holistic Care store at 1302 Sunset Blvd. One man was shot and killed, and other was wounded. 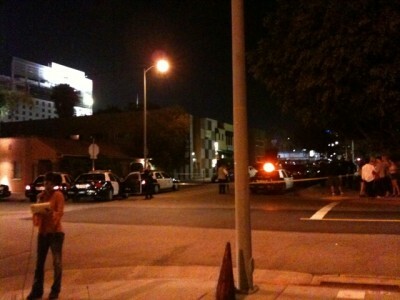 The Eastsider blog has many more details on this incident. Fox11 is reporting that a second incident occurred in Hollywood at a different dispensary, Hollywood Holistic Marijuana on the 1600 block of North El Centro, near Sunset Blvd and Gower in Hollywood. Anchor Cheryl Carson said on Twitter at 9:42pm that a clerk was stabbed to death at the Hollywood incident, however their later report said police were unsure if it was a stabbing or shooting. We’ll update this story as we learn more info. If you have any tips, please post in the comments section.